You are at:Home»Lifestyle»Fashion»Do celebrities like Kanye West have a place in the fashion world? I would argue that celebrities have had a continuously shifting place in fashion, with major fashion houses using celebrities to showcase new designs on red carpets across the globe. In recent years that position has often shifted to behind the camera – figureheads such as Kanye West now designing, manufacturing, and presenting their own collections, gaining critical acclaim as they do so. West’s sleek lines and dystopian tones in Yeezy seasons one and two have created a style unseen before at leading fashion weeks. In doing so, he has caught the attention of both respected fashion power houses (including editor of American Vogue, Anna Wintour) and fans alike. West’s success begs the question; do celebrities have a serious place in fashion? Fashion houses and creative directors such as Balmain and Oliver Rousteing have used the already established fame of models such as Kendall Jenner and Gigi Hadid, exposing their designs and apparel to a broader audience. It is no longer enough to just present collections at fashion weeks throughout the year. Although many would criticise West as using fashion to boost his ego, his passion and years of work collaborating with designers and brands such as Louis Vuitton and Adidas paint a different story. As the fashion world await the full release of West’s collection, one thing can be certain – in a society dominated by the internet, celebrities will rightly have a place in influencing the fashion world globally, and that is one fashion that here is to stay. I’m not about to suggest that all celebrity-turned-fashion designers should stay away from the fashion world. There’s just a select few that might want to stick to their previous career (I’m looking at you, Kanye). As Cathy Horyn wrote in The Cut, Kanye’s fashion fans are “fools, because they wouldn’t bother with this stuff if it were offered by an unknown”. Would you really pay hundreds of pounds for a shapeless jumper with holes in it? This stuff is sold out everywhere on the release date just because Kanye West designed it. 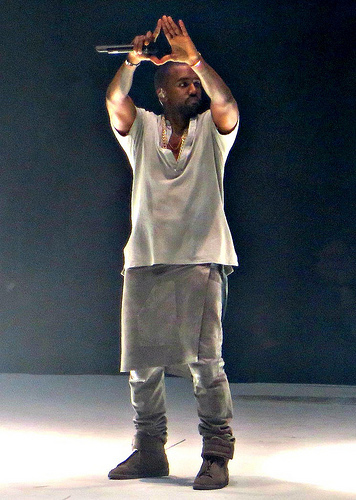 Taking on the fashion world is easy for someone like Kanye, because of his established fame. His desire to be the ‘greatest rock star on the planet’ undermines designers that have worked tirelessly, solely on their collections, and received much less success. 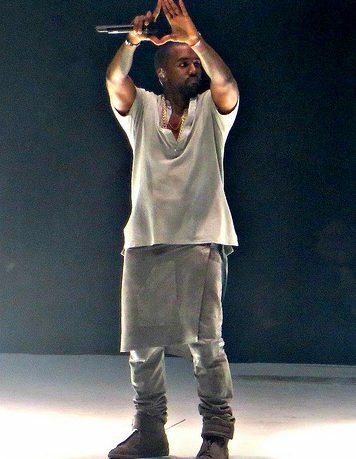 The hype around Kanye’s clothes may make him feel good, but I doubt the average shaped wearer feels confident in his see-through concoctions. That’s if they’re ‘lucky’ enough to afford them. 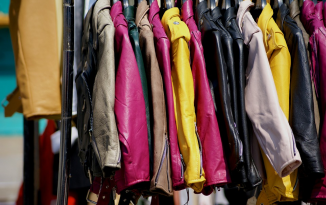 Fashion should give you the chance to look and feel fabulous, but some celebrities seem to worry a bit too much about their own image and not the needs of their target audience. If the clothes make you feel confident, buy them, but don’t buy something purely because of the name on the tag.